In this article, we will help you setup your domain name purchased at Godaddy to work with Rank My Hub Web Hosting. We assume that you have already purchased the domain name at Godaddy. Step 1: Login to your Godaddy Account here. 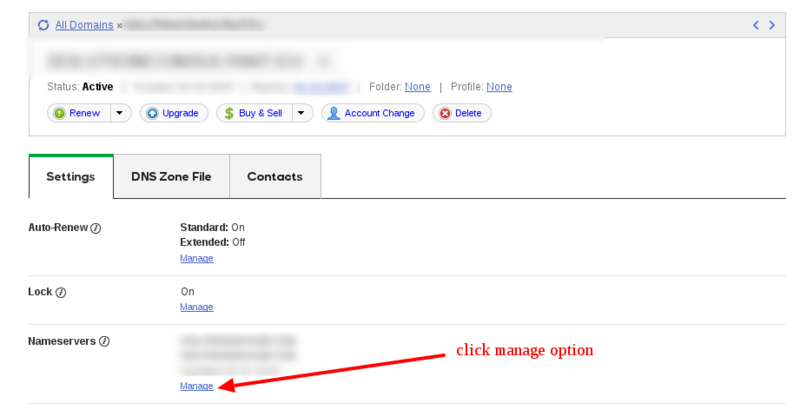 Step 2: Go to Domains option and click on manage. See screenshot below. After you click on manage option, choose a domain name you want to configure. See the screenshot below. Note: You will only see single domain in your account, if you have only one domain name purchased from Godaddy. The image provided is only for guidance purpose. Once, you choose a domain name that you want to attach with rankmyhub web hosting, click the Manage button as seen in the screenshot below. After you clicked the manage button, you will see the following screen. 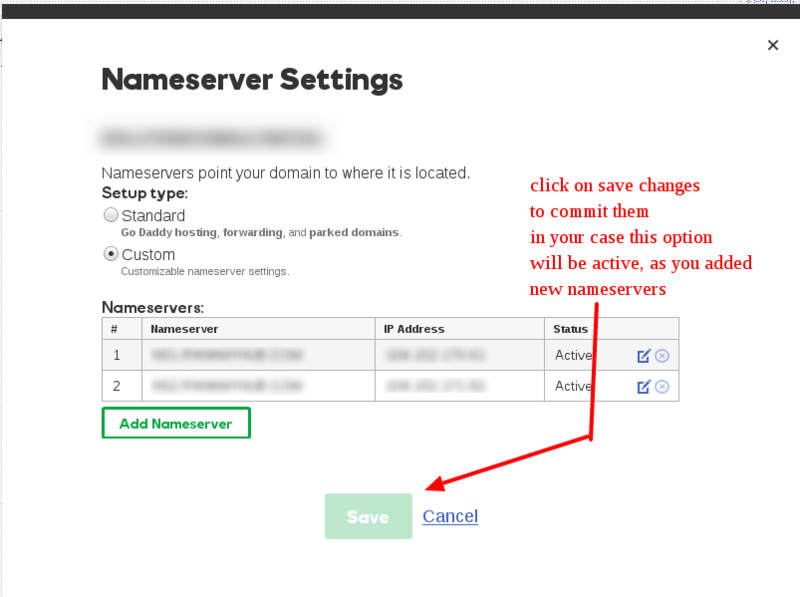 Here choose Custom nameservers option. 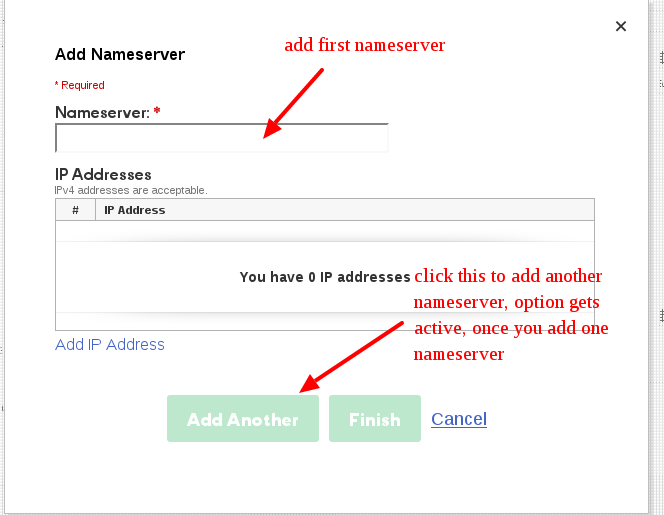 In this step, enter the custom DNS (nameservers). Our support team will email you the details needed to complete the domain setup as soon as we activate your hosting account. Enter the two nameservers sent in the email here in the nameservers option. After you have added the two nameservers, click on Finish button to commit changes in this dialog box. Finally, click on Save to completely finish the custom nameserver setup. Now, setup is completed at the domain registrar end. Usually, if you follow the instructions correctly and setup things, your domain should be working within 15 mins to 1 hour. You can go to this website and check you DNS propagation world wide, enter you domain name and choose NS records to start checking for dns updates. DNS propagation is not in our control, it takes 24-72 hours for full dns changes all over the world. Please be patient and wait for it to complete. If you do not know how to setup things, please raise a support ticket. Our support team will setup the domain for you. You need to supply the login credentials to help us work on it. Thank you.